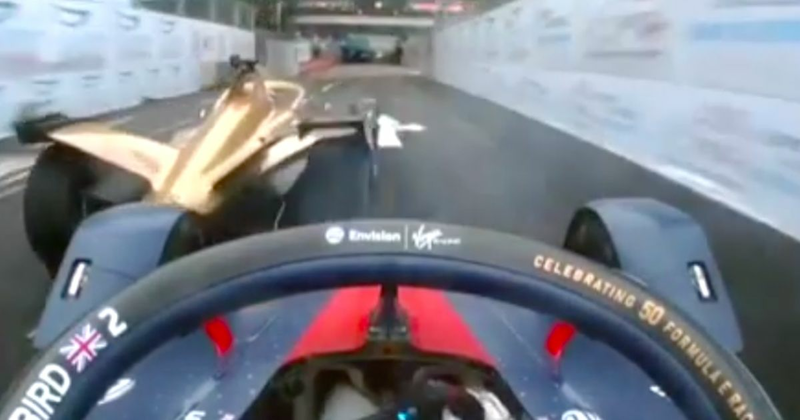 Pretty much the entire race had been a one-on-one duel between Bird and Lotterer, with the Techeetah driver leading most of the way after a slight mistake from Bird had cost him the lead. Lotterer was on the back foot for much of the race but defended superbly, despite Bird’s best efforts. With two laps to go, Bird had to go for it. Lotterer defended firmly and Bird went into the back of him - although both kept going, a few corners later it emerged that Lotterer’s right-rear tyre had been punctured. He slipped to last while Bird went on to win the race ahead of Edoardo Mortara and Lucas di Grassi. It was a controversial finish - some say Bird should be penalised for the contact, while others say it was just an unfortunate racing incident. There has been a lot of contact this season, which is a testament to how closely the cars are able to race each other. However, there has been a feeling that there has maybe been a bit too much of it going on and not enough penalties given out. The minor bumps and nudges seem somewhat inevitable and most of the time are pretty harmless. There was nothing especially different about this incident, it was just unfortunate that it triggered a puncture. The question is whether penalties should be handed out based solely on the action itself, or whether the outcome should be taken into account too. Away from the battle at the front, the race was punctuated by red flags and safety cars. An early stoppage was caused by Felipe Nasr’s car breaking mid-corner and understeering into the wall, taking both Mahindra drivers with him and almost blocking the circuit. Stoffel Vandoorne took an excellent pole in the wet qualifying session and was running well in the race when his HWA broke down, and Oliver Rowland - who had been leading until he accidentally knocked the Full Course Yellow button on his steering wheel and dropped down the order - later ground to a halt after clipping a wall. It was a bad day for a lot of the typical front runners. As well as DNF’s for Pascal Wehrlein and championship leader heading into the race Jerome d’Ambrosio, Sebastien Buemi and Alexander Sims also failed to finish, while Jean-Eric Vergne finished out of the points. Antonio Felix da Costa had a quiet race to pick up a single point for 10th. This means that Bird has opened up a bit of a lead in the championship, sitting on 71 points* with d’Ambrosio on 53 and di Grassi on 49. All in all, this was probably the least entertaining Formula E race of the season so far, even though it was still thoroughly entertaining. And when an event that features a race-long battle for the lead, plenty of overtaking and a dramatic change in the order with a couple of laps to go isn’t even in contention for the best race of the season, you know the series is doing something right! *The incident is currently under investigation to the race result (and therefore the championship order) could be subject to change. UPDATE: Bird was given a five-second penalty for the clash. Click here for more.